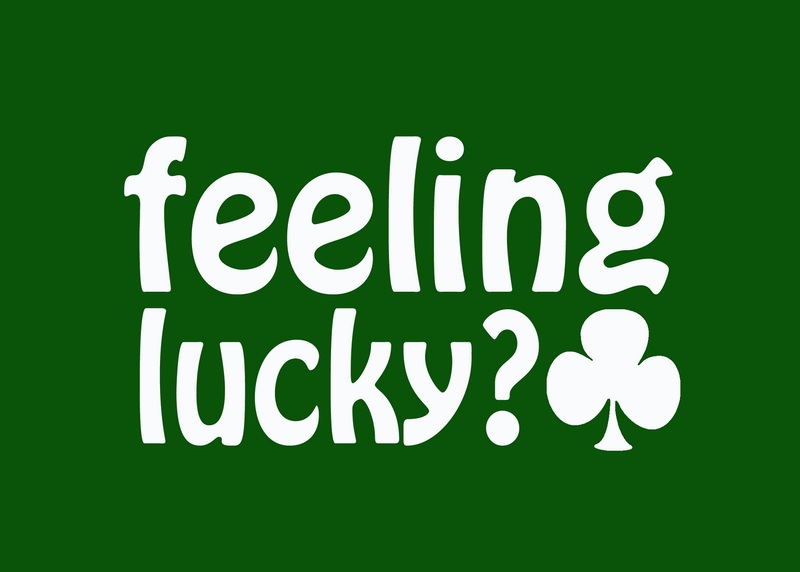 We think of luck as simply a positive reversal of fortune or chance occurrence that worked out in our favor. Like winning the lottery. Jesus sees it as far more. He knows it takes more than changing your conditions and surroundings to make you lucky. It takes more than money or comfort or success. It takes the arrival of the kingdom of God. And that is no chance occurrence. The crowd that gathered to hear Jesus’ pronouncements of blessing—the Beatitudes—were not the important big-city types. Those would come later, when Paul joined the team and traveled to various cities. These first followers were country folks. Simple, well-meaning, kind-hearted peasants. Luke, the gospel writer, doesn’t mention a name we might know or even a grouping—like Pharisee or Sadducee or scribe or lawyer—we might recognize other than “the disciples.” This is simply a crowd. A crowd of ordinary, unspectacular people. Sure, the twelve He had chosen were there, but they may not have looked like the most promising bunch either. So when Jesus began to speak, it’s important to remember that He wasn’t sermonizing, delivering a prepared oratory masterpiece to a mass generic audience. It wasn’t a canned speech He had taken on the circuit. Jesus, full of compassion, sat on the plain and spoke. To them. To the unlucky, to the outcast and the insignificant, to the overlooked and undervalued. Both Luke and Matthew chose the Greek word makarios to capture our Lord’s opening word in the Beatitudes. Makarios simply means “fortunate, happy.” In secular Greek literature, it is used to describe the blissful state of the gods. It is not an inherently religious word. The Greek word more like our words “blessed” or “blessing” is eulogia. Eulogia is often used to invite or invoke God’s blessing and also to bless God. That word was, of course, available to Jesus—and Luke and Matthew. But He—they—chose makarios instead. If we were to use a word today for makarios, we might choose the word lucky. Not lucky as in the result of randomness. Not lucky as in the reward for properly acknowledging a superstition or a charm. It is neither the product of erratic chance nor the result of currying favor with some capricious god. It is simply lucky as we use it conversationally: You lucky dog, you get to take a vacation next week! Or, Lucky you! You just got a promotion in the middle of a recession! Lucky are you who are poor, for yours is the kingdom of God. Lucky are you who hunger now, for you will be satisfied. Lucky are you who weep now, for you will laugh. Lucky are you when men hate you, when they exclude you and insult you and reject your name as evil, because of the Son of Man. Could it be that Jesus is not saying, “Blessed are you because you are poor,” but rather, “Blessed are you in spite of being poor, for the kingdom has come to even such as you”? Reading it this way begins to make more sense. In this light, those who are mourning are now blessed because they will—in God’s kingdom that Jesus is bringing—be comforted. They are not considered lucky because of their mourning; they are lucky because they are receiving and will receive in fullness the unexpected good fortune of God’s comfort in spite of their mourning now. The focus of the blessing—especially in Luke’s gospel—is on the latter portion of each Beatitude, not on the opening phrase. 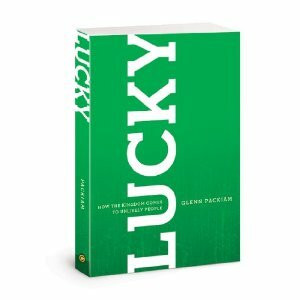 “Luck” is not in their initial conditions—of poverty and hunger and mourning and persecution—but rather in their unexpected outcomes: The kingdom of heaven in its fullness, comfort, and reward is theirs. So it is for you. God has come to you in the midst of your mess and mistakes. He is announcing His arrival into your ordinary, unspectacular life and inviting you to follow, to surrender, to live in a different way. God is rescuing and redeeming the world, and you—unlikely you!—have somehow gotten in on it. The trajectory of your life has been altered. You now have a part in the future that God is bringing. Like Abraham, you have been blessed to carry blessing, to live as luck-bearers to the unlikely and the unlucky. You are receiving and participating in the kingdom of God. This was an adapted excerpt from my book, LUCKY: How the Kingdom Comes to Ordinary People. Read more samples– including the Foreword by Eugene Peterson— HERE.